Hungover? You better grab a bacon sanga! Still no cure for cancer, but it seems researchers are working on things just as important! The boffins recently announcing that a bacon sandwich can provide relief to those suffering a hangover. Apparently its all about the carbs and amino acids. Personally i don’t like to take half measures so just to be sure i like to throw in some vegemite and eggs. Vegemite is chock a block full of B vitamins, which are known to magically go missing from your body after you have been drinking. The humble egg also helps by being packed with large amounts of cysteine which helps rid the body of acetaldehyde. A nasty chemical created in the process your liver uses to process alcohol. If you can stomach them three and still feel like the walking dead, simply go back to bed your hangover is not going anywhere in a hurry! Went into Dan Murphy’s today and decided to grab a variety of beers to try for something different, some where good some were not, here is my run down on those i have tried so far. Sweet, with a subtle nutty aftertaste, fairly similar to a Canadian blonde. Verdict: Nothing really to write home about, one point was added for the retro style label and the guys mustache on the label. Very strange aroma reminiscent of lemonade. This is a strange beer not your everyday brew, tastes like a soft drink with a herbal taste that whacks your taste buds about 2 seconds after swallowing. Verdict: Possibly a refreshing brew tp drink on a hot summers day, couldn’t see myself wanting another anytime soon. Thick creamy head, nice dark colour close to porter well balanced flavour profile with a gentle bitterness and a subtle toffee aftertaste. Verdict: Very smooth i could definitely get used to drinking this. Nice golden lager, with a pleasant bitterness and a subtle sweet aftertaste. Verdict: This is what lager is all about smooth, refreshing, not much to think about. Copper in colour, soft malt aroma, very clean tasting with a gentle bitterness. Verdict: WOW, these guys have excelled and made an ale that’s full of complexity, very smooth and not overpowering in any way shape or form. It seems that Coles stores on the Northern Beaches (probably elsewhere in Sydney too) are discontinuing their home brew lines. Which is bad news for those of us that like to throw down a brew every now and then, as it’s going to mean a bit more stuffing around if we want to a cheap and cheerful drink like a Brigalow cider. 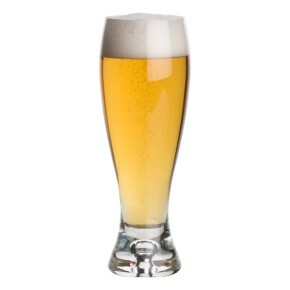 But in the short term its great news for the home brewer as they are selling all their stock at reduced prices. The Manly Coles in the Corso has all cans marked for sale between $4.10 and $5.10. I hear it’s also the same story in the Coles at Warringah Mall so better rush out and stock up while it lasts! 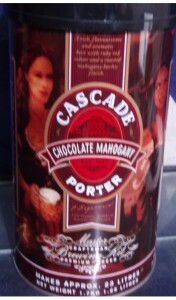 I got myself a can of the Cascade Chocolate Mahogany Porter for $4 which i look forward to brewing up with some grain to enhance the taste a bit. P.S It has since come to our attention they haven’t discontinued homebrew altogether just shrunk their extract range to encompass the basic Coopers and Toohey’s cans. They still also thankfully have left the basics such as sterilizing powder, dextrose and crown seals, as many times i have started bottling only to realize i have no caps. We have released an new forum for the discussion of brewing, drinking, music and pubs / clubs around the Sydney area. So if you have questions want to rain praise or scorn on an establishment get in there and make your thoughts known to the world.